YOU is an American 60 minute scripted thriller television series, which kicked off on September 9, 2018, on Lifetime and is broadcast every Sunday at 22:00. The show is currently in its 1st season. Lifetime has officially confirmed the renewal of YOU for Season 2. The exact release date is yet to be announced so far. Sign up to track it down. The thrilling drama series YOU will return for a second season as a Netflix global original. 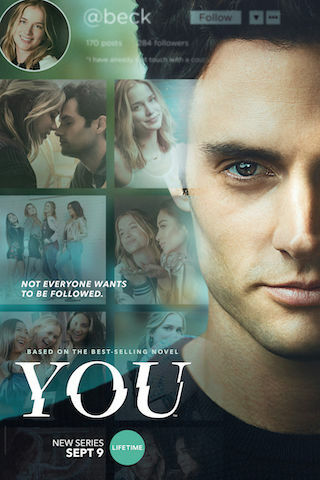 YOU is a 21st century love story about an obsessive, yet brilliant twentysomething who uses the hyper connectivity of today’s technology to make the woman of his dreams fall in love with him. “What would you do for love?” When a brilliant bookstore manager crosses paths with an aspiring writer, his answer becomes clear: anything. Using the Internet and social media as his tools to gather the most intimate of details and get close to her, a charming and awkward crush quickly becomes obsession as he quietly and strategically removes every obstacle — and person — in his way.